Back to the streets of London again, this time for the festival or race walking on Pall Mall, which – who knows – could even attract the attention of Buckingham Palace, going past the front door, as it were. 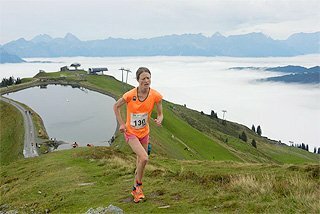 It will be an historic occasion with the first women’s 50km to be contested at world championship level. Portugal’s Ines Henriques looks a lock on the gold medal based on the limited number of previous performances. 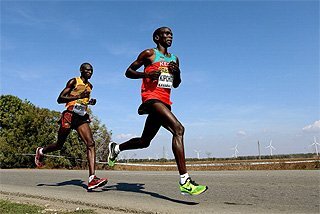 None of the Beijing medallists is back for the men’s 50km, and only bronze medallist Hirooki Arai of Japan from Rio 2016. 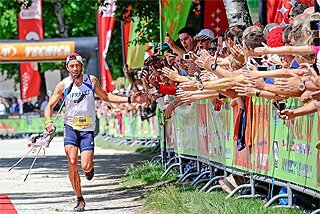 Someone will grab the chance, perhaps Arai or Canada’s Evan Dunfee. 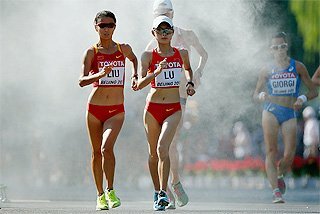 China’s Xiuzhi Lyu is the best credentialed in the women’s 20km with a silver in Beijing and a bronze in Rio. Maria Gonzalez will be looking to add to Mexico’s proud history in walking events. Dane Bird-Smith will be seeking to improve on his Rio bronze medal in the men’s 20km. There will be a strong challenge from Asia, with China’s Kaihua Wang and Japan’s Eiki Takahashi and Isamu Fujisawa the top three on the world list. Two great middle-distance finals – the women’s 800m and men’s 1500m. Caster Semenya, Francine Niyonsaba and Margaret Wambui swept the medals in the Rio 800 and with Ajee Wilson and Beijing 2015 silver medallist Melissa Bishop look the best five in the final here. Everyone is a medal chance in this final, but it is hard to see Semenya losing. Not so the men’s 1500, where almost anyone could win. 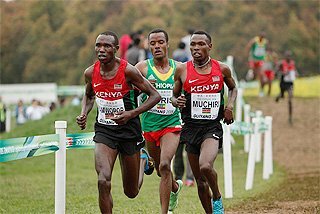 Elijah Manangoi and three-time champion Asbel Kiprop looked good in semi-final one, Sadik Mikhou has had a strong and consistent season, while Rio bronze medallist Nick Willis has come with a late run form-wise, as he has in so many championship races. 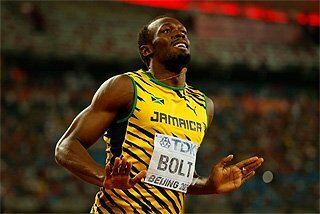 As in the Olympic final, much will depend on how the race is run. Two field events golds – in the women’s discus and men’s high jump. Denia Caballero upset Sandra Perkovic two years ago in Beijing, but faces a tough task to do so again. 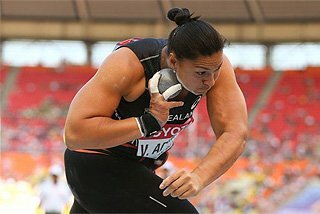 Perkovic can give the appearance of being flaky – she had only two valid throws out of nine in winning the Olympic gold last year – but she is pretty consistent at getting the job done. Even in qualifying here, she had a first attempt foul followed by a monster 69.67m. Yaime Perez, Dani Stevens, Melina Robert-Michon and Nadine Muller performed strongly in qualifying and will be right in the medal hunt. Mutaz Essa Barshim leads the world in men’s high jump this year at 2.38m. Fully fit again and in form, he deserves favouritism. Bohdan Bondarenko is the other finalist to have a lifetime best in the 2.40s, but does not appear to be quite at that level this year. Lots of other chances, including local hope Robbie Grabarz, Danil Lysenko (ANA) and Majd Eddin Ghazal. It was a surprise when Almaz Ayana came back and won the 10,000m without having previously raced on the track this year. 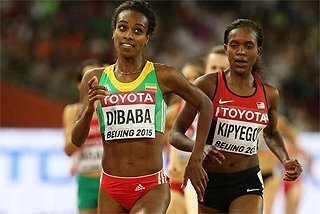 It would be no shock if she made it a double by winning the 5000m, but the form runner this year has been Hellen Obiri who also beat Ayana in Rio last year as she took the silver medal behind Vivian Cheruiyot. There’s lots of others with claims – Molly Huddle, Seneberi Teferi, Letesenbet Gidey, Sifan Hassan and Laura Muir among them – but it could come down to Obiri v Ayana. 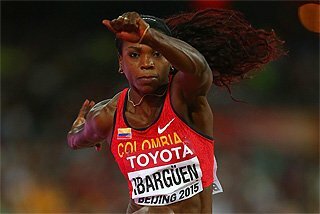 Ayana’s championship record of 14:26.83 from Beijing two years ago – could be threatened. 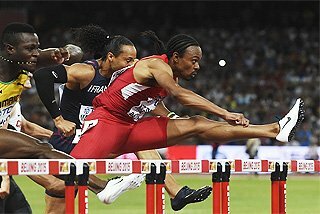 The men’s race looks simple: the USA, Trinidad and Tobago and Belgium all broke three minutes in the second semi, while fourth and fifth-placed Great Britain and France both ran faster than Spain, Poland and Cuba in the other semi-final. QED? It’s never that simple. Expect the British runners to pull out something extra for what will be a ‘Last Night of the Proms’ final, or at least the last final of the Worlds. The US will start favourite in the women’s race, too. Again, expect Britain to go up another notch, and Jamaica to throw out a stern challenge. Botswana, too, is on the move, making the final where the more-fancied men’s team did not. The rest were probably too far back in their heat to challenge for the medals, but, hey, these are relays.